Today's wonderful giveaway is not just a introduction to a great product but a call to change your life, even if it is in a small but transforming way. AYA BALM is a truly magical balm that harnesses the beauty and simplicity of nature to heal and soothe. It contains no preservatives and is free from petrochemicals. I love lip balm and have inadvertently applied all sorts of toxins quite liberally to my lips over the years, your lips being a veritable gateway to your body. AYA BALM inspired me to replace the body and bath products (we have been using for years as a family) with eco and human friendly alternatives. It has been a fun process of experimentation and we recently even changed our washing powder which is quite something in a country where washing powder brands are practically a family tradition. 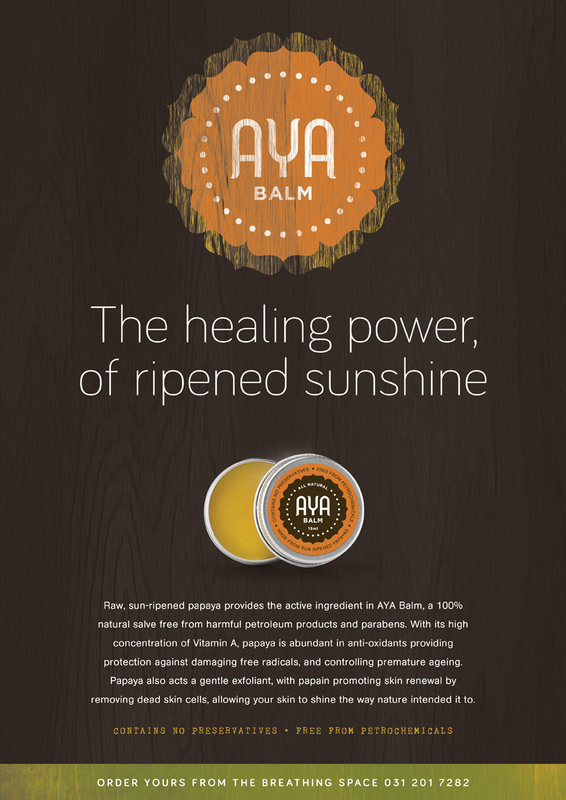 AYA BALM is giving away 4 balms which means you can keep some for yourself AND spread the love and healing. I am a fellow lip balm addict and struggle to find local suppliers of chemical free balms, this sounds great. I love this. We've also started switching to more eco-friendly and healthier alternatives. Oh this looks lovely! Would love to give it a try. A lovely way to honor or bodies. Aya is added to my list. We need more products like these. Love it. oh, I'm a sucker for any natural products! have had a sample of this, and its really great. Sure it smells delightful. Would love to spread the love & healing (and the balm on my lips!). YAY, I love Aya Balm and use it daily! Glad to see that others are loving this too. I haven't seen this product before... would love to give it a try. I've nearly finished my stash of Yes to Carrots organic melon lip balm (which Clicks no longer stocks :-(), so it's good to discover something new! Would love to try the lip balm! Sounds perfect for my summer hols coming up next week! !